Everyone expected that if Australia’s ruling Liberal Party were to lose the upcoming by-election in the Canning district, prime minister Tony Abbott would face an uprising against his hard-edged conservative style, even as rumors swirled that Abbott was preparing to call a special ‘double dissolution’ snap election that would involve members of both houses of Australia’s parliament. 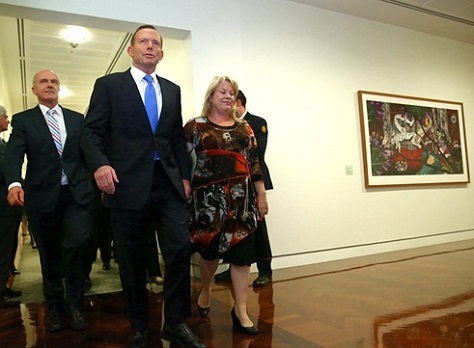 No one expected that Abbott would face a leadership ‘spill’ even before the by-election, though it was abjectly clear that Abbott’s premiership was in danger as far back as February, when he defeated a leadership challenge by a vote of just 66 to 39. Blindsided by a Liberal caucus worried about its fate in Australia’s coming election, which must be held on or before January 2017, Abbott’s internal party critics finally brought him down late Monday night, Canberra time, narrowly electing former leader and communications minister Malcolm Turnbull (pictured above) as the Liberal Party’s new leader — and, therefore, the leader of Australia’s Liberal/National Coalition government and Australia’s 29th prime minister. Literally overnight, it brings a new government to Australia from the moderate wing of the Liberal Party — a new centrist prime minister who is LGBT-friendly, more likely to balance liberty and security, sympathetic to the fight against climate change and, above all, ready to signal a singular focus on Australia’s growing economic woes. Turnbull is a moderate who has always been much more widely popular with the Australian public than Abbott, whose own prickly personality and economic and social conservatism dragged the current Coalition government firmly to the right. Six months into Abbott’s tenure as prime minister, Australia’s center-left Labor Party, under the new leadership of Bill Shorten, took the lead in polling surveys and never looked back. 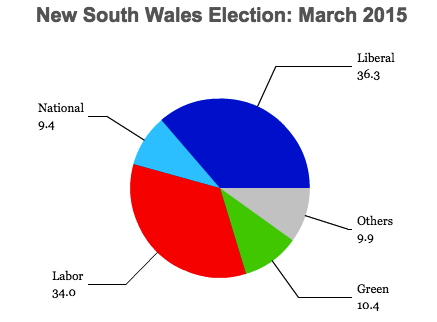 Labor now holds a healthy lead of between five and 10 points in most surveys on the two-party preferred vote (the measure when all third-party votes are distributed, through second preferences, to Labor and the Coalition, as the two largest parties). Turnbull’s election will pull the governing Liberal Party back to the center of Australian politics after a two-year Abbott government that’s arguably one of the country’s most right-wing in history. Turnbull is set to embrace a more urgent tone on economic policy, including a full-throated embrace of the China-Australia Free Trade Agreement (ChAFTA) signed in July 2015 and the multi-continental Trans-Pacific Partnership. Turnbull, in his post-election press conference, praised New Zealand’s prime minister John Key for enacting economic reforms and explaining them well to the electorate. Joe Hockey, the government’s treasurer (essentially the equivalent of finance minister), an Abbott loyalist who denounced Turnbull’s leadership challenge, seems certain to lose his role as the chief economic policymaker. Turnbull also embraces a much more liberal view on civil liberties, even in an era of rising national security. Unlike Abbott, who firmly opposes LGBT marriage, Turnbull fully supports it and it’s reasonable to expect that he will allow the Australian parliament to hold a ‘free vote’ on the matter — if for no other reason than to lower tensions on the issue before the next election. 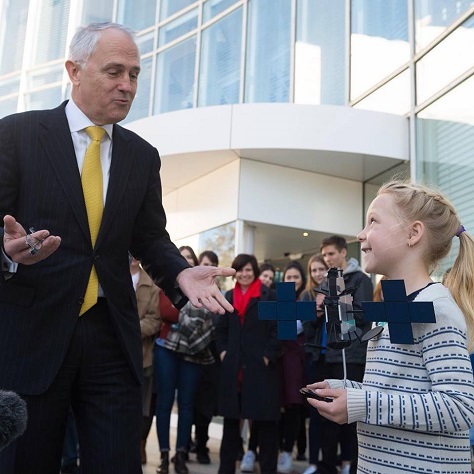 As a former environmental minister who once supported the opposition Labor Party’s attempt to introduce a carbon pricing scheme, Turnbull’s election will give Australia a much stronger voice as November’s global climate summit in Paris approaches. 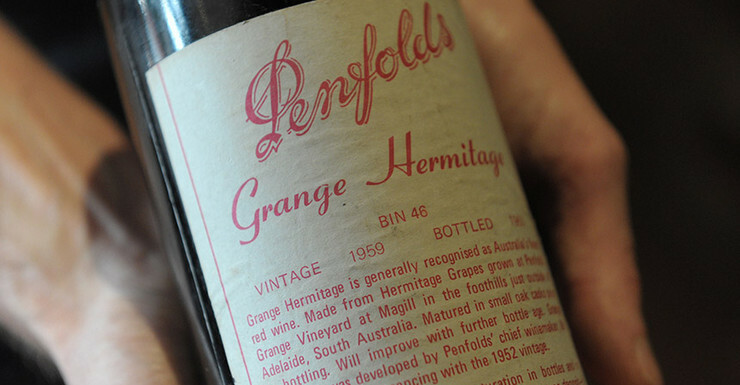 The Canning by-election, scheduled for September 19, comes after the death of Don Randall, a sitting MP who was first elected to the Australian House of Representatives in 1996. The contest, which takes place in a district on the outskirts of Perth in Western Australia, is essentially too close to call, even though Randall and the Liberals easily won the seat in the 2013 election with 51% of the vote (and with 62% of the ‘two-party preferred’ vote). Though the Coalition’s political troubles are in large part due to Abbott’s personal unpopularity, Turnbull’s election will not magically transform the perilous fundamentals for Liberal reelection hopes. The tanking price of commodities has hurt Australia’s mining-heavy economy, especially as China’s economy stalls after decades of double-digit GDP growth. If Turnbull waits until early 2017 to call fresh elections, Australia might well be in recession. Moreover, Turnbull may seek a personal mandate as the new Liberal leader — in 2010, Gillard called an election almost immediately after succeeding Rudd to legitimize her own premiership. It’s difficult to say what the Turnbull coup will mean for Saturday’s by-election. The new prime minister may himself call snap elections earlier than absolutely necessary, despite the fact that the current government can expect to command a stable majority for the next 16 months. A Sydney native, Turnbull is a banker whose first involvement in Australian politics came in 1993, when he chaired the Australian Republican Movement, which aims to make Australia a republic with an elected president (and not a constitutional monarchy with Queen Elizabeth II as its head of state) — republicans only narrowly lost a 1999 referendum on creating such a republic. Though the 1999 fight brought together traditional allies from the right and the left, Abbott is a committed monarchist and he drew derision in January when he awarded a knighthood to prince Philip, Queen Elizabeth II’s husband. Elected to the Australian parliament in 2004, Turnbull’s ascent was rapid and, in the final year of prime minister John Howard’s government, Turnbull served as minister for the environment and water. Though he won the Liberal leadership in 2008, discontent among the opposition’s right flank to the Labor carbon pricing scheme forced him out nearly a year later after Turnbull instructed his caucus to support the bill. After two leadership spills in a week, Abbott usurped the leadership in December 2009 after two ballots, by the narrowest margin of 42 to 41. 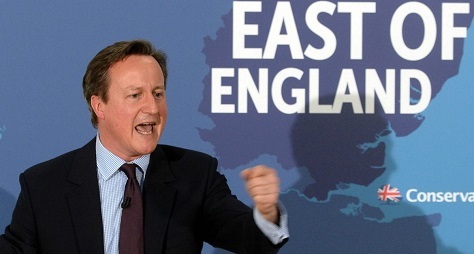 Photo credit to Mike Bowers / The Guardian. Despite widespread international opprobrium, Indonesia executed eight prisoners earlier today, including two members of the ‘Bali Nine’ group of Australians convicted for drug offenses, four Nigerian nationals and a Brazilian national. Indonesian president Joko Widodo, known as ‘Jokowi’ throughout the country, was elected on a platform of reform and good government. With today’s executions, and with the executions of Brazilian and Dutch nationals for similar drug offenses earlier this year, Jokowi’s international reputation lies in tatters, just six months into his administration. Mary Jane Veloso, a Filipino woman convicted of similar drug offenses, however, won a last-minute reprieve after conversations between Jokowi and Philippine president Benigno Aquino III. Veloso was allegedly duped into smuggling drugs into Indonesia, and Aquino had argued that she should be granted a stay of execution for the purposes of testifying against the traffickers who sent Veloso to Indonesia with drugs. It’s a stupendous fall for Jokowi, who swept into office with high hopes domestically and abroad. Though the executions are not especially controversial in Indonesia, where the death penalty for drug-related offenses is popular, its beleaguered president is facing other pressures that have made it virtually impossible for him to grant clemency to the ‘Bali Nine’ and other foreign drug convicts without incurring additional political backlash, most of all from within the party that sponsored his presidential candidacy, the Indonesian Democratic Party of Struggle (PDI-P, Partai Demokrasi Indonesia Perjuangan). Until the executions earlier this year, Indonesia had been under a sort of unofficial moratorium for the prior four years. Notwithstanding the executions, when viewed in tandem with other missteps, Jokowi risks being viewed as a coward at home and a murderer abroad. For now, Jokowi’s decision, at least domestically, is a nationalist moment reaffirming the sovereignty of the world’s fourth-most populous country, but it comes at the risk of painting Indonesia as the number-one target of anti-death penalty activists worldwide. Though Brazil and The Netherlands recalled their ambassadors from Jakarta after the January executions, the latest round of executions could bring far more destabilizing consequences for Jokowi. Australian prime minister Tony Abbott and foreign minister Julie Bishop have objected strenuously to the Indonesian government’s decision to carry out the executions. Though ties between Australia and Indonesia are not perfect, the bilaterial relationship is seen by both countries as vital to security and trade interests. Indonesia is the largest recipient of Australian foreign aid, with Australia contributing nearly $650 million in aid to Indonesia in 2013. Cooperation, however, is an important issue with respect to the smuggling of migrants into Indonesia by boat, which peaked (along with deaths at sea) in the mid-2000s. When Jokowi came to office, he quickly moved to reduce fuel subsidies that had hogged up nearly one-quarter of the Indonesian national budget. By January, his administration had eliminated them entirely, and the world watched with high regard for a president who seemed willing and, even more surprisingly, able to take bold steps that could liberalize Indonesia’s economy. 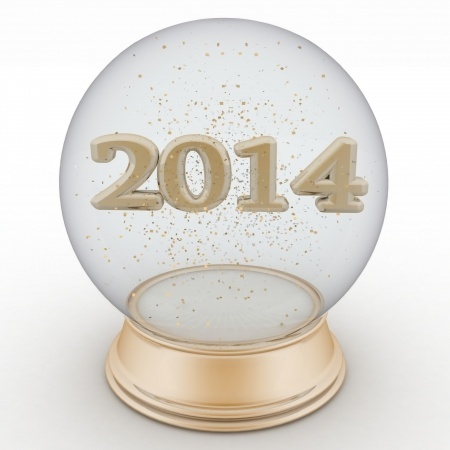 Record-low oil prices, moreover, made early 2015 a perfect time to eliminate those subsidies. Since then, however, Jokowi’s record has been much less impressive. Instead of taking on widespread corruption, Jokowi instead seems to have weakened it. His initial appointment of Budi Gunawan to the Anti-Corruption Commission (KPK) was put on hold when it became clear that the KPK was investigating Gunawan for corruption. Though the entity is just a decade old, the KPK has earned considerable respect for impartiality and success. Gunawan’s appointment appeared to make a mockery of the KPK’s work, and it called into severe question Jokowi’s commitment to anti-corruption efforts. Jokowi quietly dropped the nomination, but nevertheless appointed Gunawan as the deputy national police chief earlier this month. After signing an executive order establishing a broad increase in car allowances for government officials, Jokowi feebly responded to criticism that he hadn’t had time to read every regulation that crosses his desk. He’s now reconsidering that as well. “It goes without saying that the President and Vice President must toe the party line, because the party policies are consistent with what the public wants,” she claimed. Her voice rising, Megawati warned Jokowi against breaking his campaign promises. “I have said this again and again, please stick to the Constitution. Fulfill your campaign promises because they are your sacred bond with the people,” Megawati said, to the thunderous applause of party members attending the national congress at the Inna Grand Bali Beach Hotel. 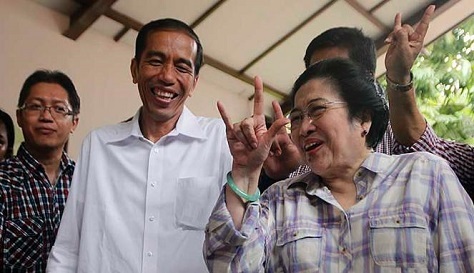 Megawati has mocked Jokowi for not expediting the executions of the ‘Bali Nine,’ and she has somewhat controversially linked drug offenses with the rise of HIV/AIDS in Indonesia. As vice president, Megawati became president in 2001 when Abdurrahman Wahid was removed from office. She failed in both 2004 and 2009 to win election in her own right, losing both times to popular former army general Susilo Bambang Yudhoyono, who left office to middling reviews last October. Jokowi’s push to reinstate Indonesian executions contradicts the conventional wisdom that Yudhoyono (who is known by his initials, ‘SBY’) cared too much about international opinion. In the meanwhile, Jokowi has raised eyebrows by reaching out to his former rival in last year’s presidential election, Prabowo Subianto, who leads a nationalist party, Gerindra (Partai Gerakan Indonesia Raya, the Great Indonesia Movement Party) that, along with the more market-friendly Golkar (Partai Golongan Karya, Party of the Functional Groups); and SBY’s own Partai Demokrat (Democratic Party) controls the Indonesian legislature. If Jokowi were to abandon the PDI-P and Megawati’s iron fist, and turn to the Golkar-Gerindra-Demokrat alliance instead, he could conceivably effect more control over Indonesia’s government. Though such a sudden switch would be unprecedented in the history of the country’s brief democratic era, it reflects the fluid nature of Indonesian presidential coalitions. Moreover, Jokowi’s vice president, Jusuf Kalla, is a former Golkar leader who also served as SBY’s first vice president in the 2000s. Nothing, at this point, will bring back any of the executed victims of Indonesia’s death penalty. Jokowi, whose term runs through 2019, will eventually have to make amends with Australia and the international community. For now, though, his global legacy begins with the stain of reintroducing the death penalty to his country, even as capital punishment is quickly being eradicated throughout much of the developed and developing world alike. 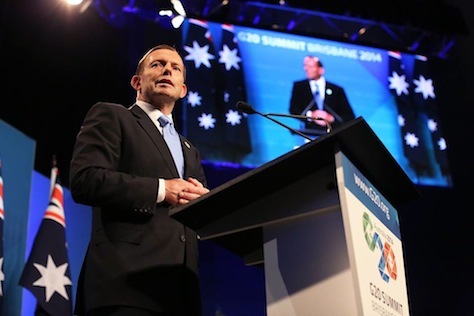 He may be one of Australia’s most conservative prime ministers in recent history, but Tony Abbott isn’t above using government as a nudge to coerce better public policy outcomes. Earlier this week, Abbott announced that Australia’s national government is serious about compelling parents to vaccinate their children from diseases, such as measles, mumps, rubella and whooping cough, that were largely eradicated in the post-vaccination era, and that are now returning as larger numbers of parents refuse to vaccinate their children out of fears of autism or other untoward health effects. Doctors overwhelmingly argue that there’s no link between vaccination and autism or other severe side effects. The anti-vaccination movement has become an increasing problem throughout the world for many reasons, including both pious Muslims in northern Nigeria (who have resisted polio vaccinations) and health-conscious leftists in California (with fears over autism). 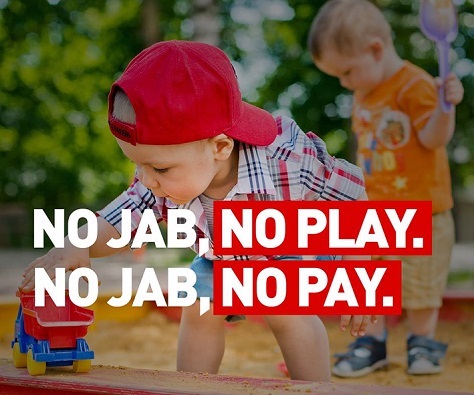 The Abbott government’s step is one of the most aggressive steps that any government in the world has taken to coerce parents to accept vaccination. Starting in January 2016, the government will no longer recognize an exemption for ‘conscientious objectors,’ which currently allows nearly 40,000 Australians to refuse vaccination for their children. That, in turn, has boosted the number of incidents of childhood diseases that had largely disappeared (and not only among children). The change means that Australian parents stand to lose funding of up to A$2100 (equivalent to US$1600) per child in tax credits and up to A$15,000 (equivalent to US$11,400) in additional government funding, including rebates for child care, if they continue to refuse to vaccinate. More than an unpopular mining tax or one of the world’s most progressive carbon trading schemes, Australian voters booted the last Labor government as a punishment for the personality-driven drama between Kevin Rudd and Julia Gillard who, in six years of government, traded the premiership twice and fought through four different leadership battles. Rudd eventually returned to leadership in the summer of 2013 when its fickle members worried that sticking with Gillard would result in an electoral catastrophe. Labor lost the election anyways, and Tony Abbott, the conservative leader of the opposition Liberal/National Coalition, became prime minister. Just 17 months after taking office, however, Abbott now faces the same dynamic, and Australia’s prime minister survived a ‘leadership spill’ earlier this week by a narrow margin of 66 to 39. If successful, the challenge would have opened the way for a direct leadership contest, presumably against either two more popular figures — communications leader (and former Liberal leader) Malcolm Turnbull or Australia’s foreign minister Julie Bishop, a rising star. The leadership wobbles point to a growing trend of snap leadership contests that are reshaping Australian politics by narrowing the time horizons for leaders of both major parties. Though that makes party leaders conceivably much more responsive to their colleagues and it also gives individual government ministers more power and leverage, it correspondingly creates uncertainty and drives weaker leadership. Think, for example, of the rotating-door premierships so common in Japan or Italy for much of the post-war era. 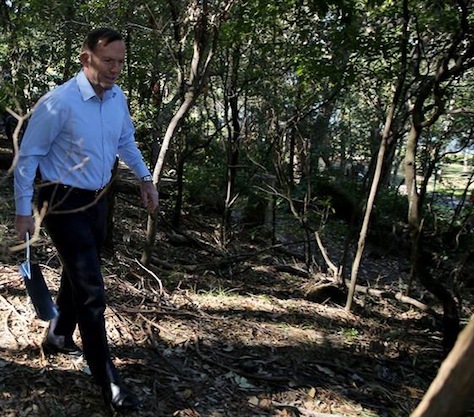 Abbott largely did what he said he would do when he was elected in September 2013. He’s deployed enough military personnel and detained enough asylum seekers at detention centers in Papua New Guinea to sufficiently disincentivize immigrants from attempting the dangerous trek to Australia by boat. He successfully won enough support among the Australian Senate’s independents to kill both Rudd-Gillard era accomplishments — first, their landmark carbon trading scheme and, a month later, an unpopular tax on mining profits (that, in any event, raised far less revenue than initially anticipated). For good measure, Abbott finalized two key free trade deals, with Japan and with South Korea, at a time when the Australian economy is reeling from both China’s economic slump and a decline in global commodities prices. In the crisis over downed Malaysian Airline flight 370, he showed genuine regional leadership, especially in contrast to the Malaysian government. In Abbott, Australians got exactly the prime minister that was advertised — a passionate right-wing conservative not afraid of controversy. Photo credit to UPI/Bettman Newsphotos. 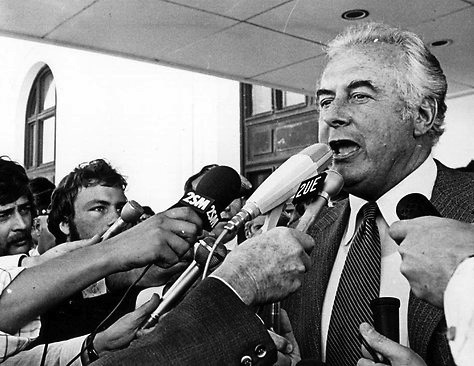 Gough Whitlam served as Australia’s prime minister for just three years, but the tumultuous Whitlam era gave the country its most severe constitutional crisis, a universal health care program, diplomatic ties with the People’s Republic of China and a progressive statesman whose spirit continues to guide the Australian left today. Notably, his short-lived government was the only one headed by the center-left Australian Labor Party between 1949 and 1983. Whitlam, who died today at age 98, left office in 1975 after Australia’s governor-general, Sir John Kerr, controversially dismissed him as prime minister, transforming Whitlam into something of a martyr. Whitlam lived for nearly four decades to watch seven more prime ministers come and go, including the internecine battles between the two prime ministers from within his own Labor Party between 2007 and 2013, Kevin Rudd and Julia Gillard. Whitlam personified the hope of the new post-war generation when he came to power in 1972, the first center-left prime minister in over two decades. Despite the opposition of the newly dethroned center-right Coalition of the Liberal Party and the Country National Party, Whitlam introduced a whirlwind of legislation. He created a national healthcare system, Medicare (initially ‘Medibank’), abolished student university fees, eliminated the federal death penalty, withdrew Australian troops from Vietnam and, most controversially at the time, recognized Beijing over Taipei. Within Australia, Whitlam delivered to the Northern Territory and the Australian Capital Territory representation in the Australian parliament’s upper house, the Senate, fought for environmental protections for the Great Barrier Reef (including a ban on offshore oil drilling) and delivered greater control over tribal lands in the Northern Territory for Australia’s indigenous population. He introduced Australian, rather than British, passports and he replaced ‘God Save the Queen’ with an Australian national anthem. Decades later, he would team up with his former Liberal rivals to support an Australian republic in an unsuccessful 1999 referendum. If the carbon trading scheme was the signature accomplishment of six years of Labor government, perhaps its second-most important policy achievement was the promulgation of a mining profits tax that came into effect in 2012. 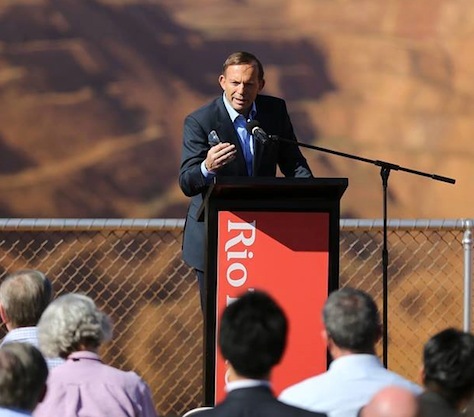 But a month after Australian prime minister Tony Abbott successfully scrapped the carbon scheme, he’s now also managed to repeal the mining tax as well, which levied a 30% tax on mining profits. Ironically, the tax failed to raise anything close to the projections that the Australian Labor Party hoped, due in part a slowdown in demand for Australian commodities as China’s economy decelerates. Eliminating the tax was one of the chief campaign pledges that Abbott made in his campaign to defeat Labor last September. Nevertheless, with the decision by Australia’s Senate to scrap the tax by a margin of 36 to 33, Abbott will easily pass the repeal through Australia’s lower house, the House of Representatives, where Abbott’s Liberal Party / National Party coalition holds a more solid majority. As with the carbon scheme, Abbott secured the legislative victory with the support of Clive Palmer, a former mining magnate, and his new Palmer United Party, an alternative to the center-left Labor and to the center-right Coalition. Palmer holds the party’s sole seat in the House of Representatives, but the PUP holds three seats in the Senate, making it a key power broker in enacting Abbott’s policy agenda. Palmer himself is an often beguiling mix of ideologies, but he seems more at home on the right than on the left. 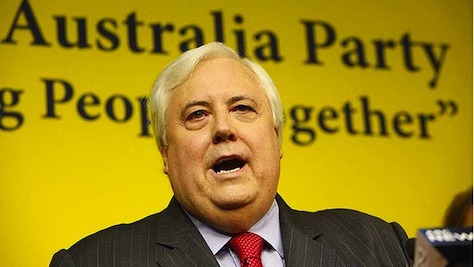 Palmer, who made millions as the owner of several coal and nickel interests, agreed to the repeal after securing the government’s support for several family-based initiatives. 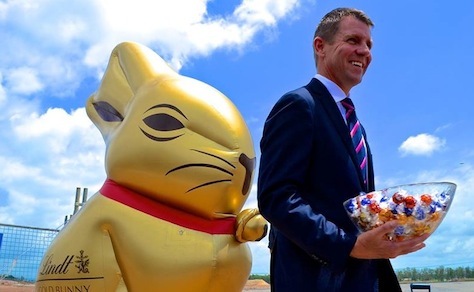 He also received a promise to freeze government contributions to Australia’s superannuation plan for nine years, forcing Abbott to rescind a campaign pledge, thereby halting a planned rise from 9% to 12% — employer contributions are now capped at 9.5%. Under a policy introduced by former prime minister Paul Keating in the 1990s, agreed with business and labor unions, employers are required to make annual contributions to each employee’s ‘superannuation’ fund. The contribution level began at 3%, rose to 9.5% and was set to climb to 12% before the Abbott government’s latest decision, which would freeze contributions at 9.5% through 2025. That, in turn, has caused Keating and other Labor leaders to denounce the mining tax deal, arguing that it could derail the full potential of the superannuation program, which itself was designed to meet the rise of retirement-age Australians set to expand in the current decade and beyond. 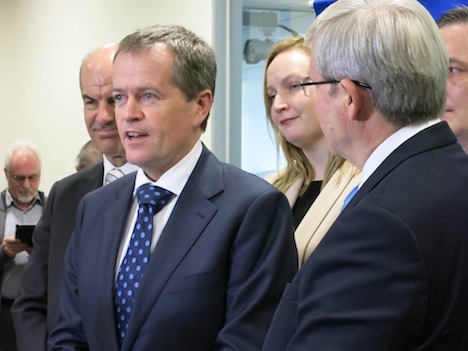 Nevertheless, the deal leaves Labor in somewhat of a quandary under the leadership of former education minister Bill Shorten. Australian voters aren’t exactly keen on Abbott’s government, which hasn’t had an incredibly easy first year in office — it’s been captive to small parties like Palmer’s in the Australian Senate and Abbott was also forced to shelve his plan to expand paid parental leave, one of his top campaign pledges last summer. But it makes the drama of the last Labor government even more pointless. It now seems less relevant than ever if Kevin Rudd or Julia Gillard was prime minister in 2010, because Abbott has, in about one month’s time, dismantled Labor’s two policy cornerstones. To have spent his first months as opposition leader railing impotently on the sidelines doesn’t make Shorten look like a prime minister in waiting, even as Abbott’s government suffers from its decisions on superannuation and paid parental leave. After today’s state elections in two Australian states, the center-left Australian Labor Party has lost power after 16 years in Tasmania and it may yet still lose power in South Australia, where the race remains too close to call. 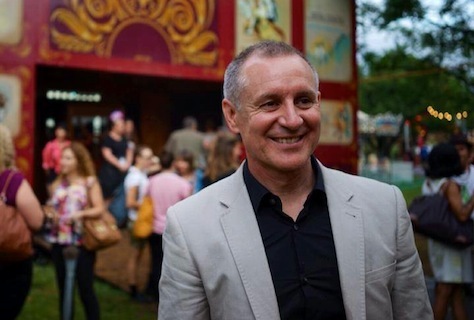 If Labor hangs onto government in South Australia under premier Jay Weatherill, he’ll be the last Labor premier left standing in any Australian state, capping a catastrophic electoral run — just six years ago, Labor controlled the government in every Australian state. 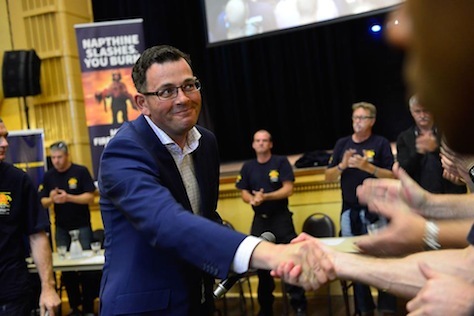 If the center-right Liberal Party emerges victorious in South Australia, Labor will control no state governments (though it remains in power in the Australian Capital Territory of Canberra). In Tasmania, where Labor was believed to have had a better chance of hanging onto power, premier Lara Giddings lost her bid to win a fifth consecutive Labor government. With around 80% of the vote counted, Labor had won just 27% of the vote and six of the Tasmanian House of Representative’s 25 seats. The Liberal Party, under the leadership of Will Hodgman, who is set to become Tasmania’s new premier, will win at least 14 seats. 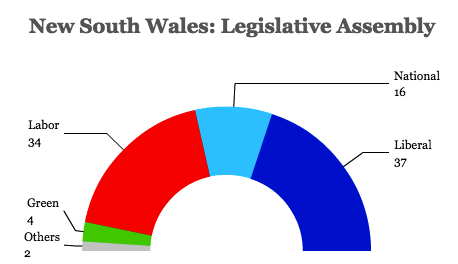 In South Australia, however, Weatherill could still remain premier, given the tight margin. Labor has lost ground, but not nearly as much as expected, and it’s been to the benefit of not only the Liberals, but also the South Australian Green Party. Going into today’s election, Labor controlled 26 seats in the 47-member House of Representatives (the lower house of the South Australian parliament), the Liberals controlled 18 and independents controlled three. As the final votes are counted, Labor now has 23 seats, Liberals hold 22 seats, and two independents seem increasingly likely to determine who will form the next government. A conservative Liberal/National Coalition government under prime minister Tony Abbott swept into power last September at the national level, ending six years of rocky Labor government marked by infighting between supporters of prime ministers Kevin Rudd and Julia Gillard. Rudd initially brought Labor to power in 2007, but his Labor caucus pushed him out of office in favor of Gillard in 2010. 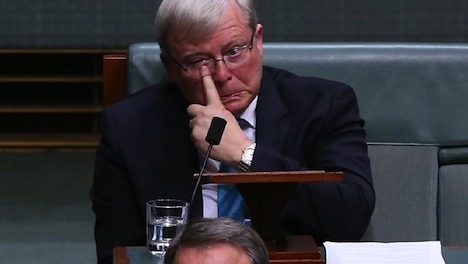 Shortly before last year’s election and facing a landslide defeat under Gillard, the Labor caucus turned back to Rudd, who served as prime minister again for the final three months of Labor’s government. Both Rudd and Gillard have retired from politics, and former financial services minister Bill Shorten was elected Labor’s new national leader in October. Hardly a month after the Australian Labor Party lost its bid for a third consecutive term in power under former prime minister Kevin Rudd, Australia’s chief center-left party has a new leader — Bill Shorten. But Shorten, who won the leadership without the support of the party’s rank-and-file membership, will face an immediate showdown with prime minister Tony Abbott over scrapping Australia’s carbon pricing scheme, which in turn could lead to early ‘double dissolution’ elections within months that would favor Abbott’s Liberal Party (which governs in coalition with the National Party) — and that could see Labor switch leaders just as easily. Shorten has his work cut out for him. For now, however, the leadership victory caps a meteoric rise for Shorten (pictured above), who came to national prominence as the head of the Australian Worker’s Union between 2001 and 2007, when he was first elected to the House of Representatives on the wave that brought Rudd and Labor to power. As the AWU’s national secretary, Shorten attained national prominence for his role during the Beaconsfield mine collapse in Tasmania in 2006. Reelected in 2010, he was appointed minister for financial services and superannuation under prime minister Julia Gillard, and he took on the workplace relations portfolio in 2011. Shorten, who supported Gillard when Labor kicked Rudd out of office in June 2010, played a key role in backing Rudd in June 2013 when an increasingly desperate Labor Party caucus believed Gillard would lead them to an electoral disaster, and Shorten served for two and a half months under Rudd in 2013 as education minister. But even under the more popular Rudd, Labor still lost the September 2013 elections, and the Coalition won a solid (if not quite landslide) victory, Gillard left parliament last June, and though Rudd was narrowly reelected in his Queensland district, no one expects him to play much of a role going forward — and if he follows the well-trod path of former prime ministers, Rudd will step down from parliament sometime within the next year. 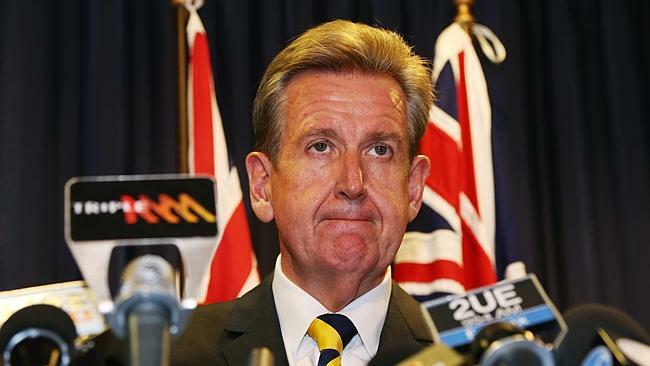 Picking up the pieces of a defeated Labor Party — and facing down the conservative Abbott government — now falls to Shorten, who will benefit from a fairly united Labor Party supporting him. He certainly won’t face the toxic interpersonal, intraparty Rudd-Gillard schism that plagued Labor when it was in government, and new party rules adopted when Rudd most recently returned to the leadership mean that it will be especially difficult to remove Shorten from power. In addition to the new rules for the leadership contest (described below), a 60% supermajority of the Labor parliamentary caucus (or 75% in government) is now required to remove a leader. That should slow Labor’s propensity to change leaders with such frequency — at least, unless Labor decides to change the rules to lower the threshold. The rules change dates not only from the poisonous Rudd-Gillard rivalry that so damaged Labor’s last stint in government — Labor went through five leadership changes the last time it was in opposition: former deputy prime minister Kim Beazley from 1996 to 2001, Simon Crean from 2001 to 2003, Mark Latham from 2003 to 2005, Beazley (again) from 2005 to 2006, and finally, Rudd until the successful 2007 election. In the most recent leadership race, Shorten faced former deputy prime minister Anthony Albanese in Australia’s first dual leadership ballot — unlike prior leadership spills determined solely by the parliamentary caucus, the new rules require that the Labor caucus and the rank-and-file party membership hold dual votes — each vote has 50% weight in determining the final result.